Discover the secret to overcoming every one of life's difficulties. Our words make a difference! Mark 11:23–24 tells us that what we believe and speak is what we're going to have in life. In other words, if we are not experiencing God's best, it's time to check up on what we've been saying. 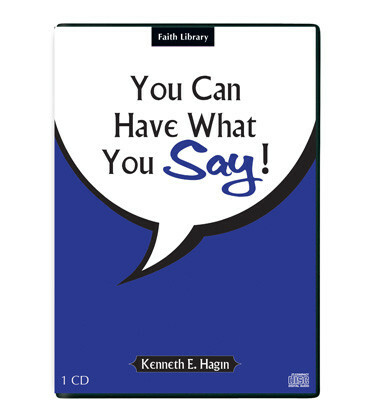 Sharing stories from the Bible and his life, Kenneth E. Hagin shows us that we don't have any business talking failure, doubt, or unbelief. We should talk faith, because God's Word works. We can have what we say!